In the ever-present discussions of healthcare reform, a common buzzword is “value”— defined as the best patient outcomes at the most affordable prices. And a fascinating exploration of the subject comes from a recent Harvard Business Review article by Harvard’s Michael Porter (also the co-author of Redefining Health Care with Elizabeth Teisberg) and Thomas Lee. 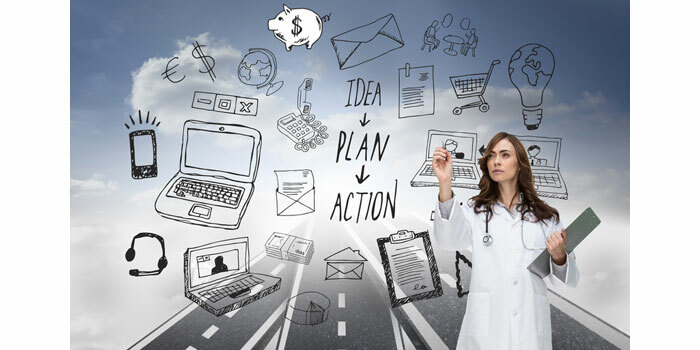 In the article, Porter calls for a bold re-imagination of the health system as we know it following a “value agenda” with six interlocking components all hinging on a robust HIT platform at its core. For the most part, care today is delivered from silos based around medical specialties—orthopedics, endocrinology, nephrology, etc. But organizing care around a patient’s medical condition in IPUs—teams of coordinated providers—offers a better way to manage illness and prevent complications. Health care systems can no longer survive by providing treatments without knowing how effective they are or how much they really cost. To effectively deliver care, they need to continuously track outcomes and improve diagnostic and treatment protocols to provide effectual treatments at affordable prices without wasting resources. Instead of billing for every test, pill, and procedure—the traditional “fee-for-service” model—health care providers should receive “bundled payments” that cover the full cycle of care. This payment approach promotes team work and quality of care. While multi-site health organizations are frequently called health “systems,” they don’t all truly integrate care from facility to facility. Real integration ensures continuity of care, makes health delivery less fragmented, and eliminates costly duplication. Innovative health systems are using “hub-and-spoke” arrangements—managing complex cases at a main facility and relegating more routine treatments to a growing number of satellite facilities or affiliated centers where care is cheaper to provide. This structure also allows broader coverage and reduces travel for physicians and patients. – and a system architecture that allows for measuring outcomes and tracking costs. This vision for HIT is a perfect match with our Physician Collaboration Platform. CMT Corp’s platform provides every one of the elements outlined as necessary for an ideal system, which in turn support several essential factors in the Value Agenda and inspire a transformation in data-driven, collaborative healthcare. Seven years later we’re no longer just talking about the ideal platform, we have it. Most HIT platforms have focused on digitizing existing healthcare delivery processes and payment systems with in the walls of a hospital or healthcare network, rather than improving cross-enterprise physician collaboration and patient care. At CMT Corp, we have honed our product to meet the needs physicians have for improving patient care, matching the list outlined by Porter and his collaborators, and exceeding it. In our next blog, we’ll delve into more detail about our Physician Collaboration Platform and how it aligns to Porter and Lee’s #6: Building an Enabling Information Technology Platform. We believe that starting with a capable, adaptable collaboration technology, we can support and inspire the rest of the Value Agenda and foster a transformation in healthcare.